Get beautiful this spring with HoMedics Beauty Products! 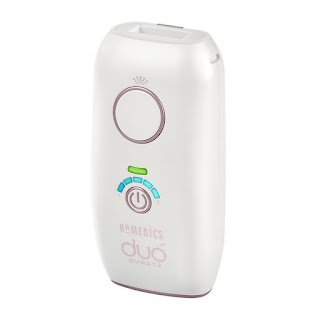 HoMedics' Duo Quartz Permanent Hair Reduction device is a dream come true for women like me who hate shaving, waxing and so on. This is a terrific pain-free IPL laser hair removal solution that works like a dream to give you smooth beautiful, hair free skin. I also love that it comes with a face applicator for delicate areas. Another thing I love is how smooth and soft it makes my skin. As a mom of 4, one of the things I used to hate is when my kids wouldn't want to sit on my lap because they said my legs poked them. I can even remember saying the same thing to my mom when I was a kid so I know how unpleasant it feels. The HoMedics' Duo Quartz Permanent Hair Reduction device is easy to use and the perfect way to get beautiful hair free skin! 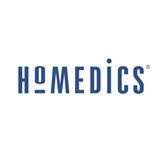 Another amazing beauty product from HoMedics is their Radiance Microdermabrasion Exfoliation Device! Complete with a diamond tip and a beautiful rose gold finish this device looks just about as beautiful as it makes your skin. The HoMedics Radiance Microdermabrasion Exfoliation Device has 4 intensity levels that allows you to use the right setting for both comfort and effectiveness. After using this device my skin felt as soft as baby skin. After using the device I make sure to slather on lots of lotion and by the next day my skin looks radiant and healthy. I'm absolutely loving how well this device works and that it gives me professional results all from the comfort of my own home. 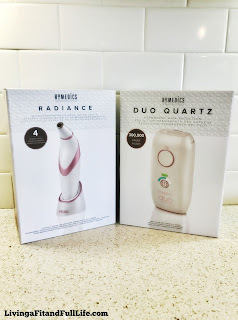 HoMedics' Duo Quartz Permanent Hair Reduction and Radiance Microdermabrasion Exfoliation Device are the perfect way to get beautiful this spring and would make terrific Mother's Day Gifts!